We ensure your data is kept in well-regulated offshore jurisdictions that no third party has the right to see. All data in the Offshore Cloud are contained in the Sure International owned and operated data centres located in Jersey and Guernsey (Channel Islands). The islands’ conducive regulatory environment means that no third party has the right to see data held within the Offshore Cloud. All data is automatically and uniquely encrypted within the platform, so neither eShore or Sure would have access to view or disclose confidential data, whether they are live or archived. Protecting the confidentiality, integrity and availability of your information stored in our Offshore Cloud. 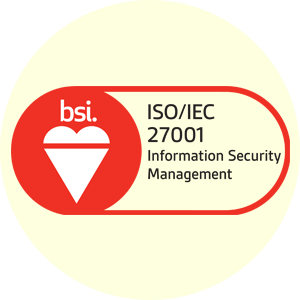 Our ISO 27001 certification is based upon a compliant Information Security Management System (ISMS). The ISMS covers all aspect of our business including staff, physical servers and logical systems. We have an extensive range of policies and procedures in place, all designed to ensure your data integrity and security. We are always mindful of the trust placed in us by our clients and we work tirelessly to ensure their data is secure through regular auditing of our work, policies and procedures. We are an accredited PCI DSS Level One Service Provider, which is the most thorough level of accreditation for data centres. This means that all elements of security controls are satisfactory to meet the needs of customers requiring PCI-compliant hosting. We undergo an annual audit to ensure that best practice is being adhered throughout the organisation. Our strict information security policies and procedures ensure PCI DSS compliance is readily achievable on the Offshore Cloud platform. Located in Jersey and Guernsey, our Sure data centres are designed to cope with all your capacity and security needs, 100% of the time. Located in Jersey and Guernsey, our Sure data centres are connected to one of the world’s largest and fastest global backbone networks, which means that we can cope with all of your capacity and security needs 100% of the time. The islands also provide the ideal physically, politically and legally stable environments in which to store and manage your business data. The strength of our offshore infrastructure means that our customers know they will receive 100% connectivity, security and support, regardless of their physical location.